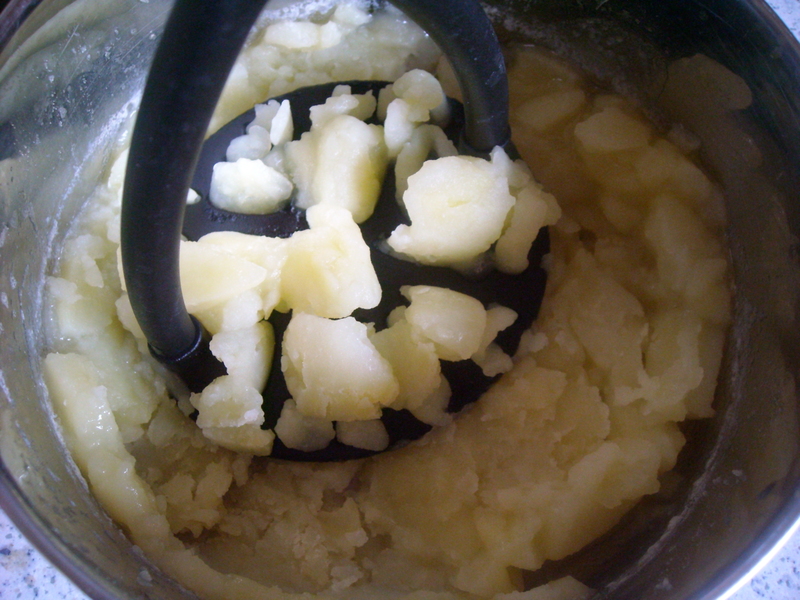 In Scotland, cold boiled potatoes are frequently squeezed up and mixed with flour or oatmeal, and an excellent cake, or scon, obtained. Remembering the time I lived in Scotland when I was younger (hey! I’m only 33. Where on earth did ‘when I was younger’ thing spring from?? 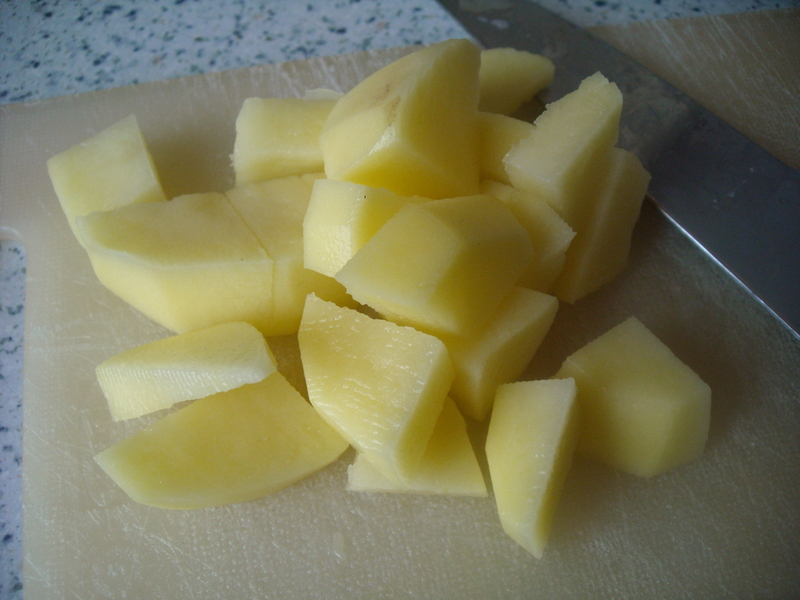 ), and Ireland a few years later, I have a soft spot for potato-based food stuffs. 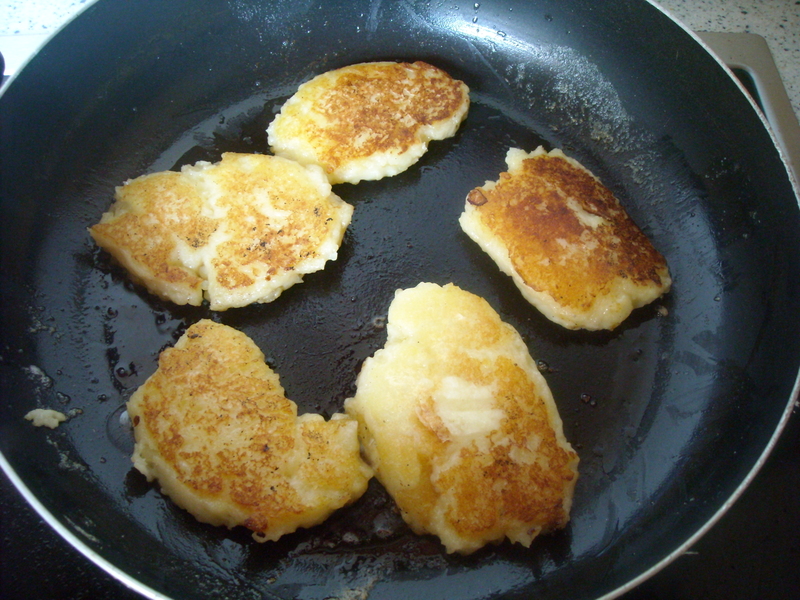 I remember very well the stodgy loveliness of flat, hot potato scones (the type that was kind of like a small thick square pancake), oozing and slippery with melted butter. Mmm. Mmmmmm. Mmmmmmm. Anyway, where was I? Oh yes, Mrs Beeton. 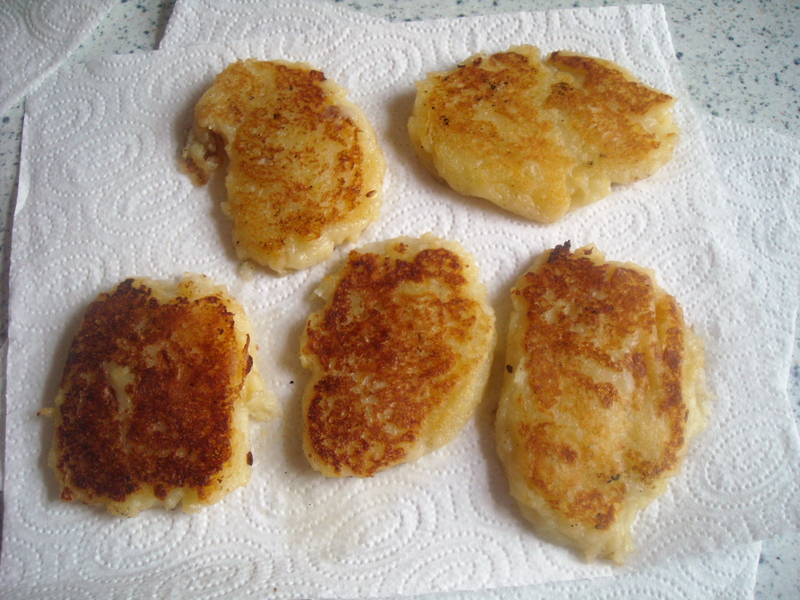 Potato scones. Mmmm. This is a fantastic use of a bit of potato. Sometimes, I get a little bored with the standard potato side-dish fare (mashed, boiled, fried, frittered, roasted – or, my boyfriend’s absolute favourite, fries). Even though this is a very simple recipe, I was grateful for the opportunity to present something a little different. I found that a generous pinch of salt and pepper gave the mix a little more oomph – not too much, but enough to make it a respectable, welcome alternative to the usual potato dishes. Altogether, they took approximately 10 minutes to cook (5 on either side) and slid with hearty cheerfulness onto our plates. My boyfriend wasn’t overly excited (”Meh. They’re OK”) but I really loved them. No doubt nostalgia played a part, but still, they were quite fine and tasty to me! Enter your email address to subscribe to Mrs Beeton in 365 Days. You'll receive instant notifications of new posts by email.